Feeling Human Countdown Deal Celebration! When Cristie Coffing finally released her first novel there was a whole community waiting to read it. And most of us came out to celebrate the launch at The Black Dog in Snoqualmie. Here’s a gallery of photos… Cristie is a key figure at the Arts Cafe’, and she’s given us all tons of creative support as well as tasty food and friendship. So here’s to you, Cristie…Cheers! You can find Carnival Man on Amazon. It’s well worth the read. Get your copy now! Yes, it’s just over a week away…Come and see us and tons of other great authors and books from all over the NW at Evergreen State’s Longhouse in Olympia, Saturday, July 16th! Just Two More Days…Until Donuts! It’s our pleasure to host a blog spotlight on Author, Rachel Barnard to celebrate her new release Donuts in an Empty Field on June 3rd. This is Rachel’s third novel. You can find her others HERE. FreeValley Publishing is proud to have Rachel as one of our Featured Authors. 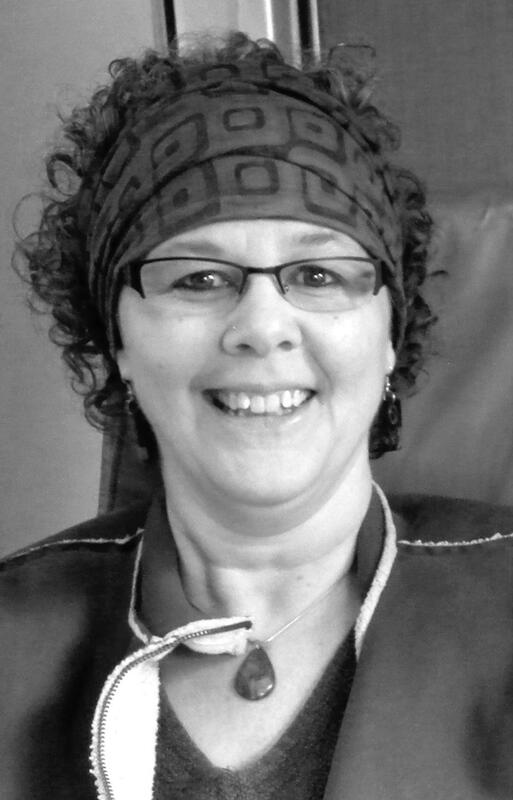 She’s an avid reader, book reviewer and great supporter of other authors and her community. You can learn more on HER BLOG. And SPOILER ALERT there are giveaways, fulfillment of Rachel’s special request, and other great links at the very end of this post. If you skip stuff, don’t miss out on those! And don’t miss your chance to meet Rachel this weekend at the FreeValley booth at OddMall in Everett, WA. DONUTS IN AN EMPTY FIELD Available June 3rd, 2016 (aka National Donut Day). Vanessa hasn’t been the same since her father’s death. A hero until the end, he died saving a restaurant owner’s son from a burning building. Nessa blames the boy, but her best friend Nichole thinks it’s time to let go of the past. In a last ditch effort to break Nessa’s obsession, Nichole hopes signing up for the local food challenge will bust her out of her shell. A single choice defines the road ahead for Nessa. Doing the right thing isn’t easy, but living with the consequences of doing nothing might be worse. And let’s also find out more about Rachel. First, the basic stuff – her bio. Then I’m going to ask her several categories of questions. We’ll do three of each category. Her resume is in book form. She’s donated at least her height in hair. She has a geocache in Sarasota, Florida that has more finds than she’s personally found as a geocacher. If your sweetheart wanted to sweep you off your feet, what would they need to do? My sweetheart would have to do something uniquely tailored to me to sweep me off my feet. I love good surprises and I love well-thought out presents. My ideal sweep me off my feet date would include a surprise itinerary, multiple stops, dessert of some sort, and something gushy romantic. What’s your favorite thing to do in the summer? Fall? Winter? Spring? In the summer I love to play outdoor volleyball, go out on my boyfriend’s boat, and just be outdoors in the sunshine. In the fall I like to go geocaching and do the same things as in the summer when the days are nice. In the winter I like to take dance classes and work on my writing and participate in NaNoWriMo. In Spring I like to edit what I’ve written and continue taking dance classes. What would you do if you were the last person on this earth? How would I know I was the last person on earth? I would probably cry and then go searching for chocolate. Favorite book quote: One of my favorite quotes is from Closed Hearts (Mindjack Saga Book 2) by Susan Kaye Quinn, “Different isn’t a crime, you know.” (Kindle locations 7202-7203). How do you come up with your characters or story ideas? I come up with new story ideas or character ticks every week. My ‘story ideas’ tab in OneNote on my computer keeps growing and growing. I surround myself with interesting people and do new and interesting things (like juicing or random meetups or going to Norwescon) that tempt my imagination at times and prompt me to add a new note in my ‘story ideas’ tab. My characters are amalgamations of people I’ve known, people I’ve read about, and the person I want to be. What kind of stories do you write? Currently I’ve delved into young adult, middle grade and recently, a romance, but I plan on branching out into the thriller/romance/fantasy genres more. I like to write stories with strong relationships between characters. How long have you been writing?My Linkedin account states that I’ve been writing over 26 years (since birth), but I’ve truly been writing since the fourth grade when I learned how to write creatively. I started writing long form (novels) after I graduated from college. Date/Time: 06/25/16, 3:00 P.M. – 5:00 P.M.
Local author Rachel Barnard will read from her most recent publication, Donuts in an Empty Field. Bring your used books for store credit and to get more entries into the free raffle. This event features a blind donut tasting of several local donut shops. Come try some local donuts and vote on your favorites. Got something cool to say about donuts? Don’t forget to add it to the “All about the Donuts” comment/quote box. First five purchases after 3:00 P.M. will receive a FREE mini donuts swag pack. Date/Time: 06/25/16, 6:30 P.M. – 7:30 P.M.
Come listen to Ksenia Anske and Rachel Barnard as they read from their new books The Badlings and Donuts in an Empty Field (For the Love of Donuts Book 1) respectively. There will be challenges, a raffle, and other fun stuff. We love to spotlight authors we’ve met or who support FVP’s site with comments and are interested in sharing their work with us. Mari Collier’s book, MAN, TRUE MAN is available on Amazon Print & Kindle. A spaceship crashes into the planet Tonath. The lone occupant, a mutant with two hearts, survives and fights his way to the sunlit part of the planet. A passing freighter finds him and takes him to the Western Starshift Institute of the Way where the Teacher resides. Tonath is a planet being torn apart by the forces of nature. Only the Teacher can predict the movements of the Stars and interpret the prophesies. Will the Teacher be able to recognize True Man and True Foe in time to save Tonath from a thousand years of burning? The man knew he was in trouble as his ship squalled in protest against the physical forces that had battered the shields into oblivion and was now shredding the metal surrounding him. Outside the atmosphere had thickened to a liquid gray-green gelatin. The forces of two conflicting dimensions were pulling and stretching the ship’s seamless construction, the stress thinning the hull rapidly. He knew the dangers of a one man flight, but had risked it. When he awoke from his last sleep, the anomaly was there, no longer a subject for hypothetical conjecture in the halls of science: A planet caught between two different space time dimensions existed with life forms. He locked himself into the scouting craft, his brain calculating the approximate length of time it could sustain him once the main structure failed. He shrugged mentally. Life was life, no matter how long sustained. He switched on the life support systems and sealed the hatch. A bitter smile snaked across the lean face, the scar on the right cheek barely discernable since his last rejuvenation. What a hell of an end: alone with none to mourn his passing. He had been looking for a new land, not too raw, but a promising land with enough technology to insure more than a primitive existence. He wanted a place where he could match his strength and his wits against nature and physical weariness permitted sleep to overtake the loneliness. He felt the ship buckle. A quick glance at the instruments showed he had plummeted through the atmosphere into the ocean. With a final, protesting metallic shriek, the outer craft disintegrated, swept away into the roiling, green liquid. The smaller craft was undamaged, but the vibrating from the force of the rolling water made the craft yaw and the wind pitched the craft as he broke the surface. He kept adjusting the craft’s balance while piloting toward the land mass, hoping that it was more than just rock. Land would offer some measure of safety. The planet circling the sun had shown promise of blue and brown belts. The scanners indicated a safe environment for human life and then the storm had swept in and caught his ship in the changing atmosphere. Beads of sweat dripped from his dark, curly hair as he looked down, his grey eyes roved the panel, hoping for some reassurance. There was none. Already the craft’s interior lights were dimming and he could hear the metal buckling. The waves caught the ship, first tossing it upward to slam it down into the froth, and then spinning it towards the rocks. The man had fought and knew he had lost. With rapid motions he belted a sheathed knife around his waist and tied a rope over it, looping the rest around his shoulder; a rope of twenty feet, no more. God knows, they’ve saved me before, he thought. Within seconds the small Scout rammed into the rocks and broke, hurling him into the outside. Wind and green water tore at his body, knocking him flat and tossing him nearer the rocky shore. One brief glance showed him the high green rocks were being scoured by moving water. Still he struggled in the water and prayed to the God taught to him so long ago. As if in answer, the waves lifted him higher, swept him over the crags, and slammed him headfirst onto the rock covered ledge. Gradually the wind died as the green rain continued to pelt the earth. He came to and looked blankly at his hands, moving them in front of his eyes as if they were some disembodied tool of strange complexity. The heavy air rasped at his lungs and irritated his throat. His clothes were wet and reeked with the odor of the sea. He looked down at the grey-green water foaming around his perch. Obviously, he had come from the water. What if the sea rose higher? It was, the brain decided, a bad place to be and time to leave. He glanced upward and realized there was no other way and began to climb. Hand pull by hand pull he brought himself to higher ground, his head and body protesting every inch. Once at the top, he fell forward, panting, looking at the water pounding at the rocks below, the weaker limestone crumbling while the heavier rock glistened dispassionately, oblivious to the forces beating against it. His breathing slowed and he stood. His head throbbed and he noticed his hands were caked with blood. Gingerly, he probed at his skull, wincing with nausea. It’s been cut, he thought, the whole left side felt swollen. I wonder where I am, or how the hell I got here. Then a larger puzzle hit at his core. Who am I? He looked down and discerned he was male, not female, but trying to think of his identity increased the pain. His knees met the ground. Not good, he thought. Just keep moving to some place safer. He looked at the surrounding strange foliage before moving. He saw green scraggly bushes growing out of ground that seemed covered with reeds or grasses. The ground cover blending into higher shrubs and then becoming a forest of brownish green trunks heading towards where? He forced wobbly legs to move and headed into the forest away from the sea. Once there, he leaned against a tree and considered what he knew. Nothing, he concluded; nothing but blurred images from a past that wouldn’t focus. He knew there had been a storm and a ship. But what kind of a ship? He gulped at the unsatisfying air. It was heavy, irritating, and his lungs seemed filled with phlegm rather than oxygen. Once again he examined his hands, the green light casting a jaundiced color where instinctively he knew pink flesh should be. He shuddered. This much he knew. Man can live without food, but lack of water on the prairie would kill. Prairie? This wasn’t a prairie, but the principal remained the same. Men and animals cannot live without water. He wondered if animals could exist in this forsaken land. He felt the strength flow back into his body and flexed his arms and hands. He felt himself and discovered a good body. He could survive. Some dim memory of survival said he had survived worse. But where? Can’t think about it. The process made his head hurt and his vision blur. He knew survival depended on all senses being alert and he began to listen: listen to what the forest could tell him. It was quiet and he was alone. No, not alone. Even on this green, dappled world life fed, propagated, and died. He heard scuttling in the underbrush and spotted an insect, a brown creature with splotches of green and then the forest began to talk to him. Birds flew and chortled in the background, the wind whispered, and the leaves rustled back, the very earth seemed to quiver with the arrival of a new comer. The bark on one tree was dislodged and he bent over to examine the ground. There was a narrow path that had been beaten down by hoofs. A game trail like those he knew from somewhere long ago. Animals were food and animals knew where water flowed. He had a knife and a rope: tools that animals did not possess. He began following the trail. The pain made his vision blur and his knees wobble, but he kept going, one dogged step after the other. As the trail led downward, he passed vegetation he could not name. There were huge trunks wrapped with corded vines, ferns that belonged in a climate forever damp, and everywhere the shallow green light highlighted darker shades of green. He stooped once to examine the soil and sniff it. It looked like moss, but it was moldy, dank smelling earth. Then he saw the faint imprint of a larger hoof not obliterated by the others, nor washed away by the rain. A horse! God, a horse. A horse could be caught and ridden out of this green hell. There had to be a sun somewhere. The bleeding from his head and hands had quit, but he desperately needed to find water. Follow the trail, he told himself. It means water. Steady, hold your pace; you know you can go for days once you find it. Hours later the pool appeared in a low area; green, rippling water welling up between green, granite like stone. He circled the spring before approaching. It was obvious that animals watered here, although now it was quiet and devoid of animal life. Was it too early for them? There was still light illuminating this world. He lowered his head and drank, then spat. The water tasted bitter, but not brackish. It was more like the air that didn’t satisfy and had a sting to it. He forced himself to drink. There were no dead mammal bodies lying here. Then he washed the wounds on his arm and head before retreating to the trees. Back in the forest, he selected the moss and ferns that resembled some he must have seen or used sometime somewhere. Sheer instinct guided him now as he applied the mosses to his wounds and used the vines for tying the improvised bandages. Once finished, he used the heavier vines to fashion a small snare and covered it with the fern fronds. It was as though his hands remembered how to do this while his brain could not. He hoped his smell would not be so alien as to drive any creature away. With luck, the strange smell might make them curious. He then used the rope to pull himself up into a tree and lash himself into a crook. Light or no light, he needed sleep. He awoke to the light of green-grey moonlight and the feeling of being totally lost and disorientated. Then he remembered the pool and the snare. Something gurgled below and then skittered away as a small animal squealed. He loosened the rope and leaned over. Something was thrashing in the bushes where he had hidden the snare. He rappelled to the ground. The caught animal was no larger than a rabbit, but its teeth were sharper, the ears shorter, more like a rat’s, and it was busy chewing at the vines clutching its forelegs. It probably has green fur, he thought, as he approached. The creature struggled and hissed, baring long teeth. He threw the knife, impaling the animal and ending its struggles. He set about skinning his catch, wondering at the two musk glands in the hind quarters. Strange, musk glands aren’t part of a rabbit’s anatomy. On some level, his mind could still reference past events. Where did I learn to skin an animal so efficiently? Instantly, the throb returned to his head. Quit thinking, he told himself and carried his catch up to his perch. In the morning, he woke early and watched the rising sun spilling its green-gold rays to illuminate the darkened world with lighter shades of green. In one direction (he presumed it northeast if the sun rose in the east) he could see golden haze spread out like an arc. That would be his destination. There had to be a safe earth away from this green world and air that clogged his lungs and his head. It took considerable effort to light a fire with rock flints and his knife before the dry fern fronds caught flame and his small fire burned bright and clean. Once cooked, the creature tasted like slime. His stomach protested, but the food stayed down. He scaled the tree again and marked the lay of the land by the high rock towers to point as a guide. He clambered down the tree, coiled his rope, and drank from the bitter pool. He began to run at a steady lope toward the northeast. His arm was better, but the head still throbbed. He spotted a camp about midday. It was deserted, but man, or man beings, had left their imprint. Their sign was like a letter to him. They had used furs to sleep on. A few scraps of grease and splintered bones were scattered about the fire pit. These were beings not worried about an enemy. They had also ridden horses, or hoofed creatures. What kind of man beings lived here, he wondered. If they slept in furs, were they primitives? He examined a long strand of hair from the ground. Was it black or dark green? In the canopied forest he could not determine its color. He straightened and considered. It would be best to keep away from them. They couldn’t possibly be like him and certain to be distrustful of any stranger. Hunger and thirst gnawed at him. He sniffed the air. There it was: water on the air. He knew water should be near a camp. Primitives would not befoul the water or scare away game by camping too close. He found the spring several yards away. It was green water again, but water. He bent to drink his fill. He would survive. Once sated, he continued in the general direction of the far off golden glow. His movements were slower now, the air sticky, scraping at his lungs. At nightfall, he sought another high tree after setting his snare and eating the last of his cooked meat. Morning brought a soft, green light filtering down through trees and rocks and showing an empty snare. His hands seemed overcast with green and he was afraid that if he had a mirror it would show green eyes in a green face. Careful, he told himself, sanity can slip away. He lowered himself to the ground and squatted. Then he sat still, letting the forest and ground talk to him. Something big was stirring, silencing the wild life. The morning sound of birds had stilled. When he first looked out from his perch, there had been a large, dark bird swooping in the sky. It had not been a familiar hawk, but the outlines were similar. Now the bird was gone and the forest was quiet, too quiet. Something or someone was hunting and he moved behind a boulder. Wildlife became quiet when man hunted, and instinct told him that he was the hunted. Some mechanism, deep within him, enabled him to ignore the throbbing pain in his head. Instead, he concentrated on the clopping hooves bringing the beings nearer. The vibrating earth carried the news that there were two quadrupeds. He slunk closer to the ground, easing the knife into his right hand, waiting until he could smell the stink of rancid grease before moving enough to tense his muscles. The two approaching dark, horse-like creatures each carried a biped being clad in furs and buckskins. One leaned over towards the right, watching the ground for changing signs. Indians on mustangs his mind whispered, they’re tracking me. They stopped when they realized his stride had changed and they caught his alien man-scent. With a scream they rushed forward swinging their clubs of rawhide wrapped sharp stones. Tomahawks registered in his mind and the muscles in his legs bunched and launched upward. His knife flashed and a yell tore from his chest as he leaped to meet them. The quadrupeds reared and screamed, his unknown odor frightening the beasts into a frenzied fight to flee. The man jumped and caught the weapon arm of the being on his right, the extra weight causing the horse-like creatures to collide. No longer was he thinking consciously, but patterns of training and past deeds worked his muscles and his hands. He pulled the man down and forced the knife through and across the throat, then flung the man from him, stuck his knife into the sheath, and picked up the tomahawk as the other regained control of his beast and wheeled toward him. He flung the tomahawk directly into the male chest. The being toppled from the bolting creature and in a second he was on top, driving his knife down into the heart, or where the heart should be. Realizing that perhaps this being was different, he used his knife to rip the throat and stomach of the man beneath him and rolled to the side. There was no movement from the two prone beings and a darkening teal liquid pooled the ground beside them. The reins of one quadruped had caught in the vines and underbrush. The beast was pulling, but the reins remained fast and the creature quieted. Good, he could use it for transportation. He turned to look at the slaughter and felt no revulsion. It was as though the scene was a replay of long ago events and he knelt to examine the victims. They were small, compact men with muscular builds, dark, green hair and eyes, olive skin, and wide chests. The chests were probably necessary to utilize the air that dragged at his lungs and left him feeling in need of more. He stripped a rawhide vest off one and put it on. He did not bother with the bows or quivers of arrows. He emptied the bundle tied to one waist and sifted its contents. The contents of a small, leather pouch smelled like pemmican. He sniffed at the lump and cautiously chewed a bit. It was tough and bitter, but whatever the dried contents were they would sustain life. The other man had a twisted rawhide rope wrapped around his shoulder and slung under his arm. The man removed it and then coiled it loosely, fashioning a noose at the end. Slowly, he approached the horse caught in the bushes. The horse had caught his smell and was trying to rear, its eyes rolling wildly. The man’s head was still throbbing and his arm was bleeding again, but he started twirling the rope over his head, keeping the noose moving in a circular motion. The lasso whirled over the beast’s head and settled around the neck. He dashed in and leaped on the beast’s back. There was no saddle, but he managed to slash the longer reins free, grasp the mane, and dig his knees inward to send the creature loping along the bank towards the light. Bushes and rocks blurred as he urged the creature forward and he fought for control. The golden light crept closer and he knew there were others following. They would want revenge for the olive bodies lying in their dark life-liquid. The air seemed to lighten and turn a softer, yellow-green. Something whistled past his head as he guided the beast towards the hazy light. There had to be real life sustaining oxygen in that golden light. Half-way across a low, running river he broke through into brilliant sunshine. He was temporarily blinded and almost lost control of the beast as it fought his every move. He had managed to turn the animal towards the opposite side again when something thudded into his back. Another missive hit the animal. The animal rose on its hindquarters and he slid into the stream. The cold water revived him and he used his hands and knees to crawl to the sunlit side. He could hear his pursuers screaming at him, but they were not following him. He gulped in the air: real, life giving air. He threw back his head to howl his survival and liquid gushed down his back and his legs buckled. He forced his way up the bank onto beige sand strewn with white and brown-rose boulders. He rested. Pain wracked his body and thirst burned his throat. Did he dare go back for water? It was a necessary decision or soon it would not matter. He tried to stand and instead sprawled onto the ground. Eight satisfying short stories, short enough to read in a sitting and long enough to develop into stories to remember. 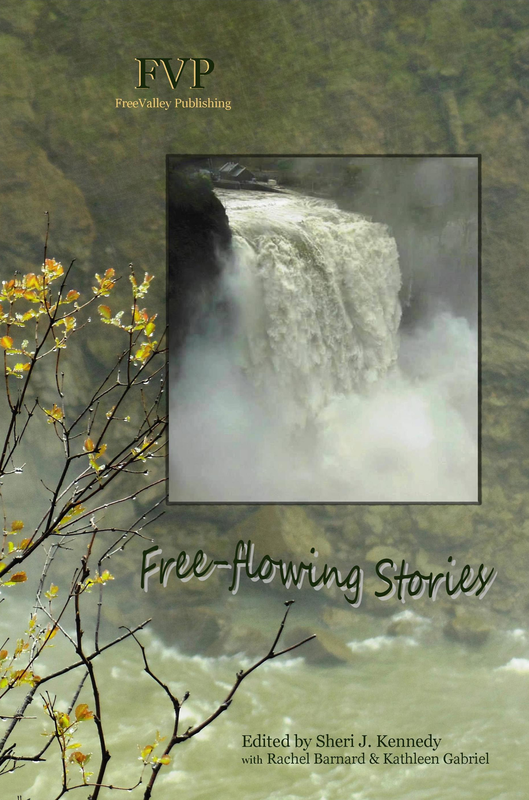 Free-flowing Stories is FreeValley Publishing’s first Anthology! You can get your copy on Amazon or come to see us at The Holiday Bazaar in North Bend today, December 6th 10-3. See flyer below. Be sure to mark your calendar for our Release Party on December 18th. We’ll read from the Anthology and sign books and celebrate with you! Come and see us! See flyer below. Click on the flyers to learn more about these upcoming events. 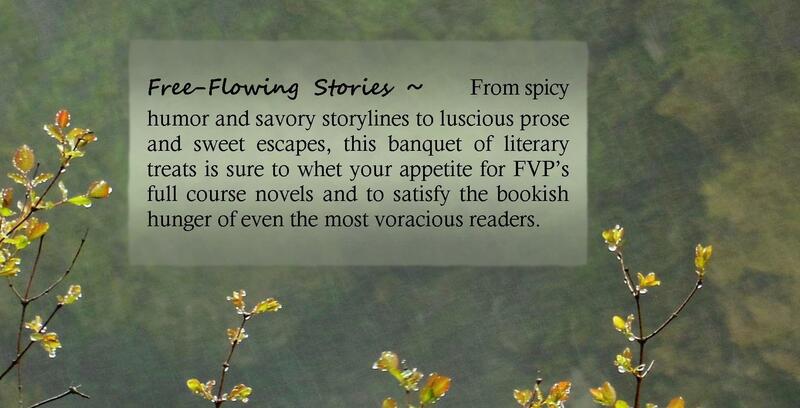 As you may know, FVP’s new Anthology, Free-flowing Stories, will be released online and at our sale on Dec. 6th. There comes a time in all of our lives when enough is too much. In this prequel to SECRET ORDER OF THE OVERWORLD the young Glendra is shaken from enlightened vision to fury. She influences the direction of the Sisterhood, mixing Darkness and Light into a complex brew that boils into the future of the Overworld. The young Glendra stood, her face flushed with emotion. She held high a small piece of Catalyst in her hand, and a wide gap opened in the hearth in the midst of the flames. The room caught its breath as Glendra rushed forward, charging into the back of the man’s chair and knocking him to the stone floor. “Bind him!” she screamed. Three of the youngest Sisters awaiting her cue subdued and bound him in seconds. Before the others could stop her, Glendra kicked him repeatedly, rolling him into the gap in the fire created by the black block she held. He fell into the hole, tumbling as if down a stairwell. The gap snapped away, back into crackling flames. He had disappeared from the Overworld into the realm Underneath, where none of them could follow even if they dared. “Glendra, you…” Kestra’s admonishment dropped off into the silent awe of the women surrounding her. All eyes were fastened on Glendra’s as she turned toward them. They had become shining inky black—even where the whites had been. They were darker than the robes she wore. The flickering flames reflected on their eerie surface and chilled them all to their ceremonial bones…. Want more? You can get the Anthology December 6th, December 13th & December 18th at our events. We’ll have a link to Amazon for online purchase as soon as it is released. A Release Party…And YOU are Invited!! Also, to celebrate with us, please LIKE our brand new Facebook Page, Free-flowing Stories from FreeValley Publishing. We hope you’ll enjoy this new place to see what’s up at FreeValley and to learn more about and interact with our featured authors! We’ll be reading from the new anthology, chatting and sharing a good time with you all. The new anthology and our authors’ other books will be available for signing and purchase… just in time for last minute gifts for book lovers! The combo release party for Dawn of Steam and birthday party for Jeffrey Cook was fun and fabulous. RETURN OF THE MACA is the fourth novel in my series. The alien that has been trapped on Earth for over one-hundred years returns to his home planet with some of his Earth family. This will be a new world and the Earth-alien beings will have their own difficulties adjusting to a different world with a different culture. The Ab woman, Di, stood between the merchant stalls located close to the waterfront’s walkways and piers in the city of Bretta. Her massive fists were clenched and her eyes a vacant stare. The wind tore at her long, thick, chestnut-brown hair. Her short, brown kirtle flapped against the muscled thighs. Her body quivered while her mouth drew in and blew out air in short, quick gasps. At first, some in the crowd had jostled against her, but others backed away, unsure of what held that magnificent Thalian body enthralled. Soon members of the Sisterhood in their black warrior uniforms, Abs in their brown garments, the Tris of Betron in their light green summer outfits, and Krepyons (derogatorily called Kreppies) in their green uniforms gathered around her. A sturdy man child of about five held onto her left leg and looked upward. He was shaking her leg to draw her attention, but nothing could break her concentration. Finally, she turned to the crowd, her eyes cleared, and she pointed to the people directly in front of her. “Thalians, Abs, Tris, people of the Houses, and Krepyons listen to me. I am the Kenning Woman, and I have a message.” Her voice was as strong as her body, and it rolled over the crowd. Her voice rose as she pointed a finger at one from each group standing before her. “The Tris will supplant the Abs, and the Sisterhood is doomed. She stooped, picked up the wee laddie and strode through the hissing Abs, the growling Kreppies, and the smiling Tris, her long legs eating away at the tarmac. A desire to hide and sleep overrode any desire to explain away her outburst. What madness had possessed her? There was no Kenning Woman for the broken land of Thalia; none for almost eighty years. She was Di, the magnificent Ab, once the Handmaiden to Martin. Now she had damned Martin as the False Prophet and there would be retribution from that bitter, aging man. She hugged Wee Da closer. Di knew she must find Is. He would guard them while she slept. She unlimbered her legs and began to run. She disappeared from view among the broken storefronts of what once was the proud city of Bretta on the continent of Betron. She found Is in the old inner district as he returned from a day of scrounging. He was dirty, unkempt, but unbowed. Since Martin had decreed he was not acceptable to the other Abs until he proved he would do the menial tasks of Abs during the work season, he was denied the rations and the safety of Martin’s House of Abs. The House of Ishner still managed to get supply packets through to him and his condemned younger sister, but he had given the last packet to his renamed sister, Il, who was allowed to remain with Martin. The Handmaiden claimed she would protect Il, but Is wondered if that were possible. At least his sister had a place to sleep, but she was having difficulty adjusting to the life of an Ab, the loss of her name, and the security of the House of Ishner. His bag was slung over his shoulder and he was congratulating himself on his take when Di ran up to him. “We must hide. I spoke the vision.” Her light brown eyes were wide with distress. Is gaped at her. “Ye did nay.” Horror was in his voice. Wee Da; however, had a firm grasp around his mother’s neck, and she could not remove him. Is shook his head. “Nay, we’ll go to this new place I’ve found. Quickly.” He turned and sped up the broken street with Di loping behind. They were in a part of Bretta once lined with small craft shops and Tri housing overhead. Before the Justines had enforced their rule with Krepyon guards, Tris and members of Thalia’s Houses would fly in on their flivs, the four-seat vehicles of Thalia, and park at the padports for a fee on a celebration day or to shop. The rounded buildings of concrete and Ayranian alloys were deserted; the padports vacant. The remaining Tris had left this area for the waterfront where food was distributed. In the back of one building, Is had found a door that opened. For over one hundred years the owners never returned to lock it, nor was it likely that they would return now. The three disappeared within and Is blocked the doorway with a carved statue of a wild elbenor raised on hindquarters showing fangs below the snarling lips. Di spied the long couch and then the hall leading to the still furnished sleeping areas. “Dear Gar, a real bed. Is, tis perfect.” She swept into one sleeping room and set Da on the bed, pulled off her brown, ankle boots, and collapsed. “I must rest. Wee Da, be good for Is.” She closed her eyes. Is set his bag down and looked at the child. Wee Da regarded him with a smile and started to run. Is shrugged and ran after him. He did nay mind watching the wee one, although he kenned it was Troyner’s get. At present Troyner, Maca of Troy, stood in the docket before the Council of the Realm. Is doubted if Troyner could fend off the Sisterhood much longer. They would bar Troyner from House and make him Ab. Damn the Sisterhood and their strict obedience to the rule of the Justines and the Kreppies. Only once had a Justine died on Thalia since the war ended and that had been in Ayran, deep in the mines, a dangerous place in the best of times. She sat up and her vision of the bulky Maca of Don and his handsome, hard-faced laddie with the strange grey, blind eyes faded. She hugged Wee Da and sniffed. The smell of food and the burning of oil came from the front area. She pulled on her boots, swung Da onto her hip, and walked out into the front. Is had devised some sort of lamp from a slender-necked ceramic vase by filling it with oil and inserting a wick twisted from an old mat. A golden flame from the wick wedged into the vase stood above the neck. The improvised light cast a glow over the table. At least there was bread and a spread for it made from onions and some sort of shriveled red vegetable or fruit. “The Sisterhood goes after any Maca that tis male. It has nay to do with ye.” Is held the door for her and they went outside. Di handed Da to Is before scooting around the corner of another building. NOTE: If you’d like an excerpt and promotion of your book posted on FreeValley Publishing’s home page, please inquire and submit it to Sheri J. Kennedy at freevalleypublishing@gmail.com.